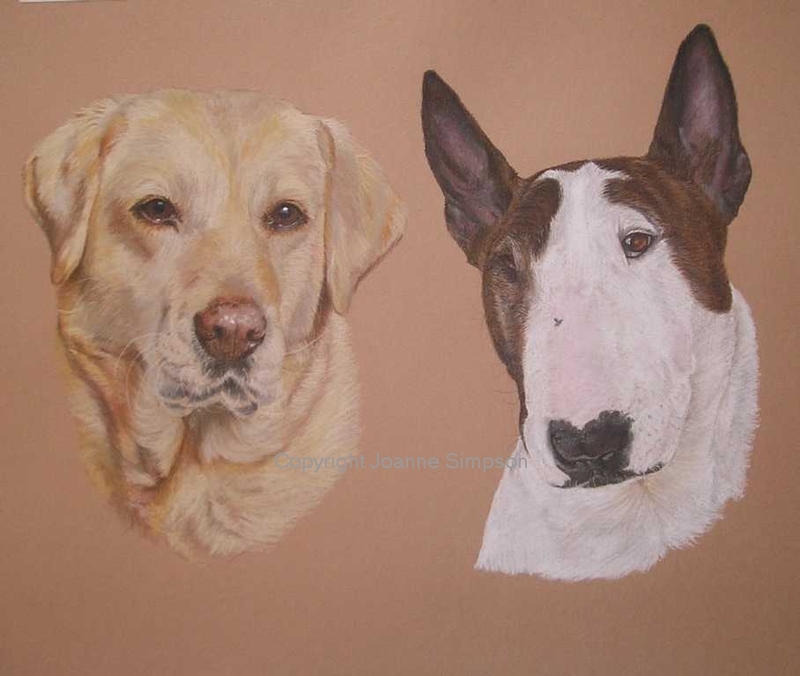 This is Candy a Golden Labrador and Mabel a Bull Terrier. They are truly beautiful. 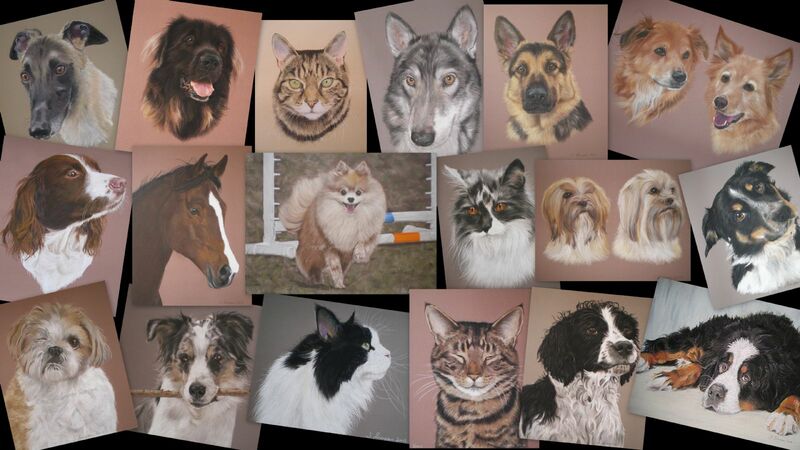 I cannot believe that you can get such a fantastically true likeness to our dogs, especially as you've never met them! We are over the moon with it, thank you so much.